Truth be told the majority of the nation has completely forgotten the crisis in Lybia, the release of the thinner iPad, and who’s on the up and up for March Madness. Because we all (me too; guilty as charged) have jumped on this bandwagon we call Charlie Sheen. Or maybe we’ve jumped on a train wreck. It’s hard to tell. 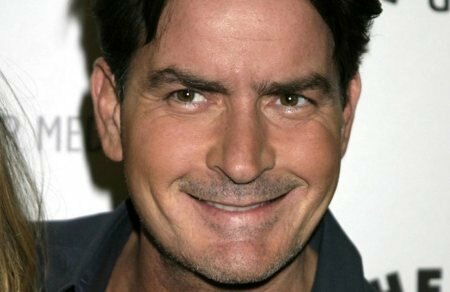 Are we all waiting for the cliff that Charlie Sheen seems to be heading toward? Or has he plunged already to a dark abyss but we just can’t see it because we too blinded by the tiger blood and the assurance that we are indeed winning? Take a closer look. Are you seeing Charlie for what he is? He is ragged. He is worn down. The glaze in his eyes is apparent. He has lost so much weight and he looks terribly weak. His neck has thinned out so much he looks sickly. It is just sad. I myself deeply wanted to believe that he wasn’t this fool on camera saying whatever silly thing popped into his mind. I wanted to give him the benefit of the doubt. On March 2nd, police came and removed his two young twin boys out of his home. After they were removed, Sheen is interviewed saying he did not know the whereabouts of his son and did not ask. Does that seem odd to you? Where you don’t even ask where your children are being taken or let alone get angry about their removal? The next day on his Twitter account it was as if nothing happened. He tweeted that he was stilling “winning”. Clearly Charlie and I have two different definitions of winning. However, as much as I was bewildered by the behavior but again I chalked up to the fact that I didn’t know the whole story. It wasn’t until I saw his little online stream video of nothing but babble or whatever you wanna call what that was. What a bunch of nonsense! Now I’m totally convinced that he is off his rocker. Even his own cronies didn’t know what to make of him and a lot of the times I felt they were laughing at him. To be honest, who doesn’t want to hang out with a dumb rich guy who is ready to splurge all his money. What was the purpose of that video cast? To conclude that Charlie needs help? What is this world of warlocks, tiger blood, and collective bowels of failing? Indeed he is vying for our attention. Truth is though, it’s not to see him succeed. It’s to watch the mass implosion that is what has become Charlie. He has become that car accident that we can’t take our eyes off. After this post, I plan to no longer participate, or watch Charlie Sheen. The more people he has watching is just more affirmation that “he” thinks he is perfectly fine. And he’s not when he is shutting him elf in and the world out. We all know he is not. By us watching, reading, we are egging on the “mentally retarded kid to do something funny” so we all can have a laugh. I am no longer game anymore. Besides Charlie made a good point. He is not watching us. We are all watching him. This entry was posted in Celebrities, Funny, Health, Humor, Life, Not good TV, Opinion, Sarcasm and tagged AAA, Blogging, Craziness, Life, Mental Illness, News, Not all there, Sarcasm, What the .... Bookmark the permalink. Wow! That says it all, nice work. Good Call! I had the same thought when I watched a story on the Today Show today. We are all just adding fuel to the fire. I mean he’s hilarious and all, but damn I am kinda over it already. Great post. I knew that Charlie was a train wreck but have honestly not paid too much attention to the current media on him. This was an opinion I stated previously about Charlie ….